Bonaparte’s gulls in winter by Chuck Tague. 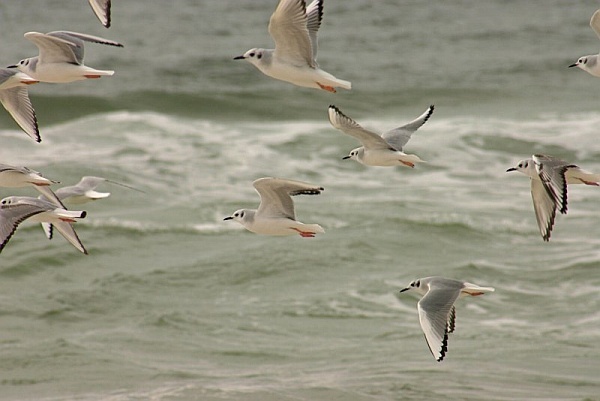 Bonaparte’s gulls are on the move. Yesterday on PABIRDS Mark Vass reported a migrating flock resting on the Ohio River at Monaca and Scott Kinsey saw some at North Park. I’ve only seen Bonaparte’s gulls in fall and winter so I imagine they looked like the birds in Chuck Tague’s photo above — pale gray backs, long white triangles on the leading upper side of their wings, black bills and white heads. In the summer Bonaparte’s gulls lead very different lives. 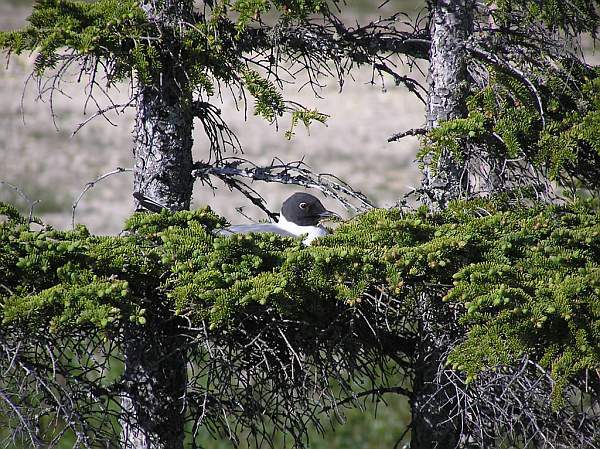 Having spent the winter at the ocean they fly northwest to their breeding grounds in the taiga (boreal forest) of interior Alaska, north-central and western Canada. There they nest in conifers. And they change their appearance. In breeding plumage they have black heads. Perhaps this camouflages them while they sit on their nests in the trees. So I wonder what yesterday’s “bonnies” looked like. Were their heads turning black? Would they look familiar? I think so. I can always recognize them on the move by their delicate moth-like flight and the white leading edge on their upper wings. April 10 is the big day for Bonaparte’s Gull migration through Pittsburgh, according to some research by Geoff Malosh. He found that over the years, April 10 and only April 10 (i.e., not April 9 or April 11), will see hundreds upon hundreds of Bonaparte’s pass by Dashield’s Dam along the Ohio river, heading north.